Have you ever felt that you could have performed a lot better after you had a conversation with someone? Did you wonder why you didn’t handle it better? Have you ever said ‘Yes’ to someone’s request when what you really wanted to say was ‘No’? You deal with people professionally and personally everyday. Any new skill that improves your communication with your colleagues, bosses, clients and your family can have profound effects on your self-esteem, personality and subsequently your productivity. We all know how miscommunication can lead to inefficiencies and cost us dearly. Influencing is a skill that we simply learn as we grow up by copying others around us or based on our experience in life. 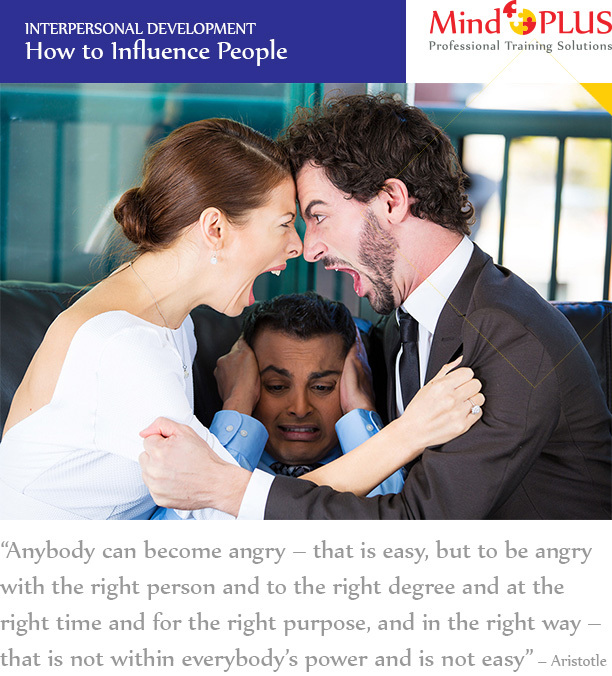 However, this can be limiting as we may never come across certain techniques and fail to understand that there could be an easier way to influence others. Fortunately, a systematic training such as this course can significantly help individuals to become better at this skill. The ability to influence others is an incredibly important skill. Business environments can benefit from the existence of people who are well versed in the art of influence since they can handle situations better, are more emotionally skilled and can mitigate conflicts or difficult situations quickly. How does knowing how to influence others help you in life? Jane is completely taken back by this. She simply didn’t think her behaviour was so serious or that it deserved such a harsh reaction. Although she is put off by it, she starts to think that maybe she is not in the right job after all. Perhaps it is time to move on and show this unforgiving supervisor that this is not the right way to handle people. As you can see, this story did not have a happy ending. A mishandling by her supervisor (along with other inefficient communication skills he might have had) led Jane to decide that this company was not worth working for. This situation could have been completely reversed if Jane’s supervisor was aware of many other influence techniques he could have used in this scenario. In this example, he used “Logic” and then went straight to “Force” which is a last resort influence technique to be used only when all other techniques have failed. He could have employed many other techniques in between these to achieve his objective of correcting Jane’s behaviour while keeping her happy and motivated. It turns out that it is actually easy to use these range of techniques and we only need to train ourselves to be constantly aware of them and do not let emotions to take over our decision making process. This course systematically teaches the delegates about these techniques and prepares them to face real-world situations armed with these influence skills. To become better at influencing, delegates need to learn and practice the skills over and over again until the skills become second nature. This course contains theoretical content along with many exercises designed to help the delegates to achieve this and understand that there are many ways to influence others. In this course, a variety of psychological techniques are presented and discussed. It includes a range of role plays and group discussions that will help delegates to learn how to change opinions, avoid conflicts through positive influence and simply be in control. What is the best strategy for long term influence on someone else? What is the importance of goals and how does this affect your influencing strategy? What does it mean to be diplomatic and how does it help you to influence others? What are the 6 universal influence principles and how to use them? How to use emotions to get the attention of others and use this to deliver your message for maximum effect.